Bay Area Houston: Texas to Amazon: Don't come here! Texas to Amazon: Don't come here! 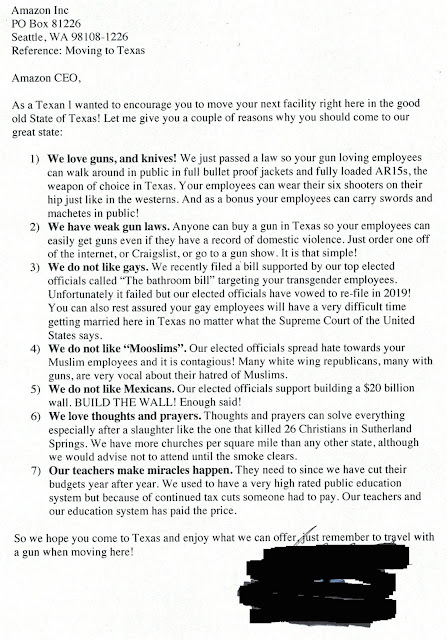 But someone really put it in simple terms to Amazon with a letter from a Texan. In short, we don't like Muslims, Gays, Mexicans, and Teachers. And we love guns, and machetes, and guns, and more guns. At least the writer was being honest.